By the time the year-end holidays roll around, Centenary Stage Company (CSC) is approaching only mid term in their widely diverse schedule of programming. But the annual holiday musical is where it all seems to come together, when the extensive variety of programs that the Company cultivates combine in one joyful event. The cast for the 2017 production of the Broadway musical, Newsies, included students from the Centenary University degree program, current and graduated members of Centenary Stage’s Young Performers Workshop, amateur community members of all ages, and Actors Equity professionals. The show was directed and choreographed by Michael Blevins, who, as an actor has appeared on the Broadway numerous times, in major motion pictures and on television. The crisp clean excitement of all those tap-dancing Newsies was a tribute to the “farm team” of performers Blevins has created over the years directing Centenary’s Young Performers Workshop. 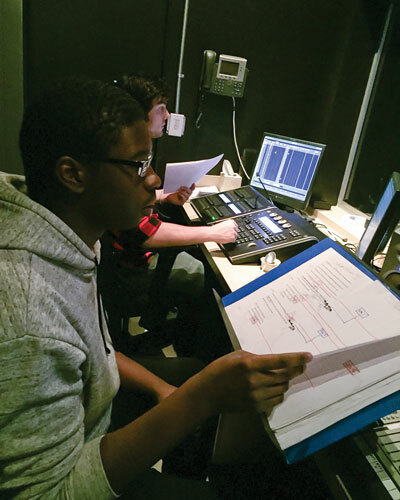 A rare opportunity for young people that offers both formal training and production experience, YPW offers three sessions each year that culminate in a festival of shows performed for regional school audiences. Any young person over the age of eight can apply. 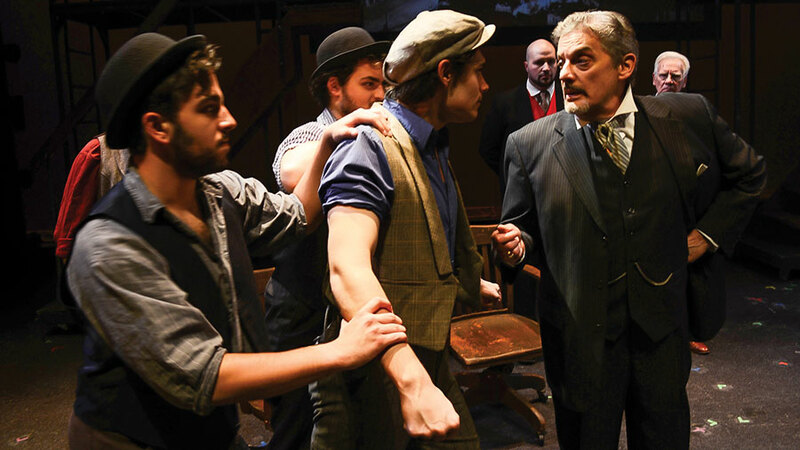 A familiar face among the Newsies cast for regular Centenary theater patrons was that of Carl Wallnau, the Artistic Director of CSC, and also Professor of Theatre Arts and Chairman of the Fine Arts Department at Centenary University. It was a few years after Centenary brought him on as a professor in 1985, that Wallnau founded the theater, raising his own funds for a couple of plays each year. Joined a few years later by Catherine Rust, the Company’s General Manager, this veteran team now leads a lean professional staff—plus work study students and post graduate interns—that finds ways to fund and produce over two-hundred performances each year, as well as offer some of the most remarkable theatrical education programs in the country. Students apprentice at the sound board. In 2010, Centenary Stage Company migrated to new state-of-the-art facilities in the David and Carol Lackland Center, a $30 million edifice that houses performance space in the top-flight 500-seat Sitnik Theater; and the Edith Bolte Kutz “black box” theater, a flexible space that has become popular for contemporary theatre, with an adaptable format that keeps the most human elements in focus. There is also office space, a dance studio, scene shop, a costume shop, green room and dressing rooms. Charged with filling this grand platform with a vital array of events, the Centenary Stage Company provides non-stop performing arts events for patrons from all over New Jersey, as well as Pennsylvania, New York and Connecticut. The Lackland Center has proven to also be a boon for the university’s growing theatre degree program, offering state–of-the-art training for the student population, who work alongside professionals in design, management and technical aspects on productions. 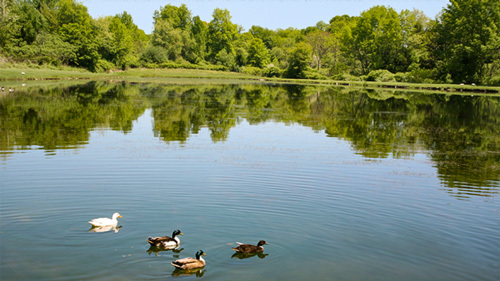 The ability for the Stage Company to be self-sustaining but still connected to the University enables a sequence of fine professional theatre and entertainment mixed with academic endeavors that is unique in New Jersey, perhaps the nation. “Our program is unique,” says Ms. Rust. “We know of no other similar organizations which actively integrate students, they most often just observe. Here they work alongside the professional designers, directors, marketing and publicity staff, and sometimes perform alongside the union actors to complete a senior thesis.” CSC’s contract requires 60% union actors (Actors Equity Association) and allows for up to 40% non union actors for each stage production, which makes it possible for aspiring actors and advanced students to work toward earning their union membership when cast in a CSC presentation. Rust, who has extensive theatric experience as a Shakespearean and classic theater actor, as well as in television soap opera production, also serves as the Program Director for CSC’s Women Playwrights Series, which provides a working forum for the distinctive and underserved voice of women writing for the theatre, taking new works from early development on to full production. Each spring, women writers from around the country converge in Hackettstown for a three-week event in April, with workshop-presentations of three new full-length plays, affording the playwright further opportunity to develop the work in the presence of an audience, a critical element. The series has featured and helped to develop the new work of over sixty playwrights from around the country, and produced fifteen World Premieres from works developed in the playwright series. Rust also somehow finds the time to appear in some of CSC’s professional theater productions, though not as frequently as Wallnau, who performed in this winter’s stage production, Art. 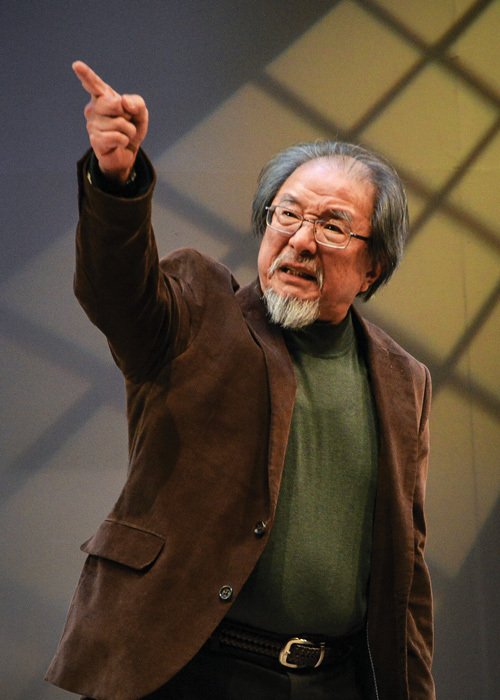 One of Carl’s co-stars was Randall Duk Kim, a celebrated stage, television and film actor who owned a home in nearby Great Meadows with his wife, Anne Occhiogrosso, also an acclaimed theatre professional. Kim and Occhiogrosso founded the celebrated American Players Theatre in Spring Green, Wisconsin, which was honored with a Tony Award for Outstanding Regional Theatre. The couple has recently led the Great Authors Out Loud series at CSC: staged readings that focused on playwrights whose mastery of language transcend time. Their next project is a series of five plays about something particularly pertinent to our time: the nature of truth through history, planned for production next year. This spring’s professional theatre production is the world premier of Hitler’s Tasters, a play by Michelle Kholos Brooks inspired by a true story about group of young women whose duty was to verify that Adolf’s meals were free from poison. Coincidently, the Führer also has an obscure place in CSC’s upcoming collaboration with the New Jersey Performing Arts Center Stage Exchange, a play about former Hackettstown resident, Ada Lunardoni, a member of the 1936 Olympics Gymnastics team that competed along with Jesse Owens in Hitler’s pre-war Berlin. CSC has invited public participation in the creative process by sharing their first-hand memories of Ms. Lunardoni, who passed away in 2003. Turning is scheduled for production in 2019. Dance Fest is another rite of spring at Centenary, linking three consecutive weekly performances by professional contemporary dance companies in the Kutz Theatre. Later in the year, the New Jersey Ballet comes to town with classic family and holiday performances. There is also The Conservatory of Dance at Centenary, which provides the community with affordable, high-quality dance classes and is designed to introduce dancers to professionals. 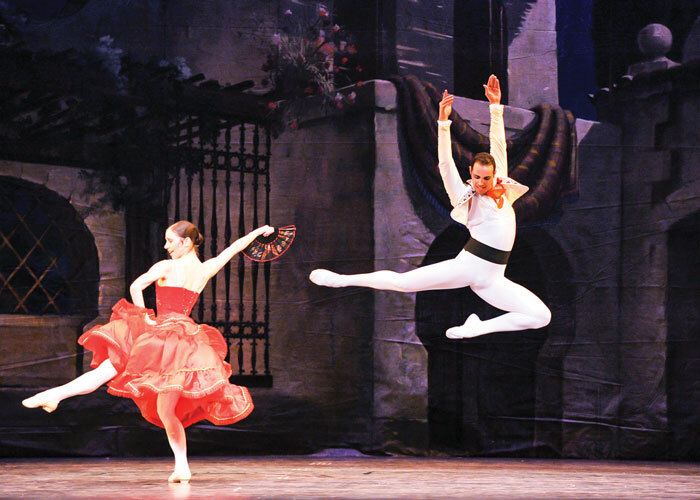 The New Jersey Ballet appears regularly at Lackland Center. The intimacy of the Kutz Theater is especially suited for the autumn Fringe Fest, a series of shows that feature artists that skirt the creative edge. Performers may employ combinations of music and theater, or special multi-media presentations, usually socially or politically relevant. All are definitely different! This fall, the Kutz Theater will also be the stage for a play called Apples In Winter, starring Colleen Wallnau. The season is sprinkled generously with musical events that range from the winter and summer festivals of popular performance to classical symphony and smaller ensembles. 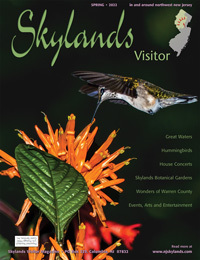 Or you just go and enjoy a great band that you won’t find elsewhere in our immediate universe: Ranky Tanky’s jazz, gospel, and R&B from the Georgia/South Carolina sea islands, the soul - stirring music of Molsky’s Mountain Drifters, or Lunasa’s unique musical approach to Irish acoustic music. And there are several celebrity and gala events each year. The 2018-19 season Curtain Up gala opening will bring the comedienne, author, and actress, Paula Poundstone, to Hackettstown on September 15. The first Equity production of the season will be Dracula. Then back to the all-encompassing December musical, Annie. 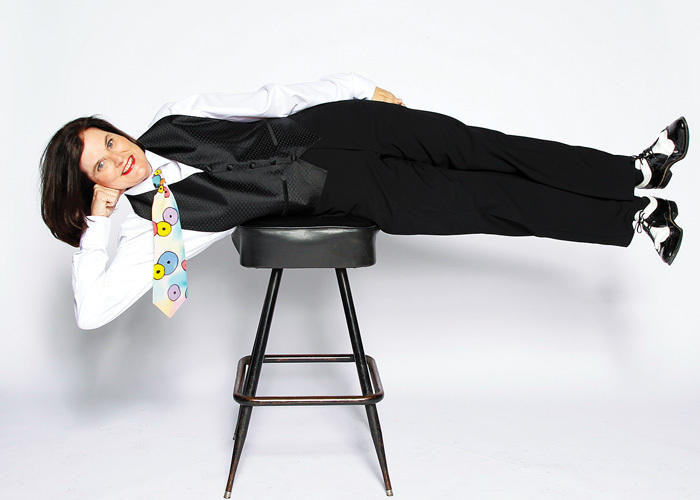 Paula Poundstone will open the 2018-19 season.